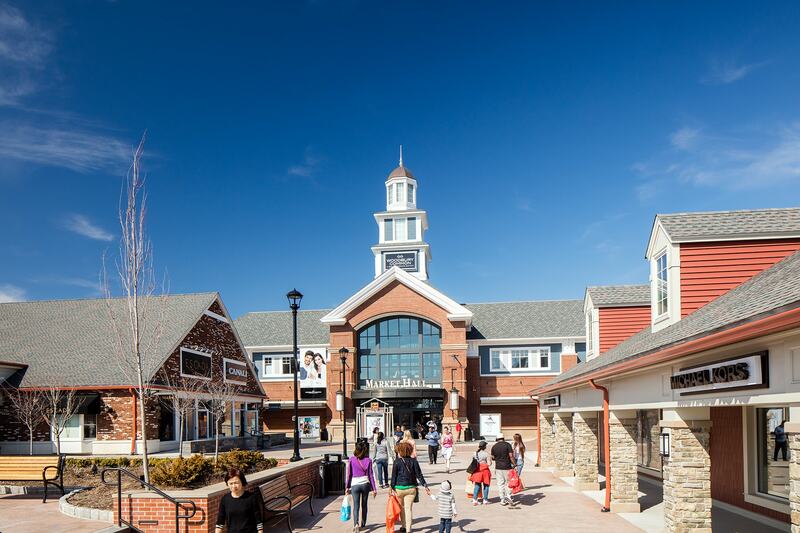 With a quaint, small-town feel befitting its Hudson Valley setting, Woodbury Common Premium Outlets® is New York’s premier retail destination. Located one hour north of Manhattan in a region rich in natural beauty and outdoor activities, the centre makes an ideal day-trip from the hustle and bustle of the Big Apple – or an attractive destination in its own right. Discover more than 250 high-end designer and name-brand outlet stores, including Tory Burch, Celine, Acne Studios, Bottega Veneta, Polo Ralph Lauren, Burberry, Coach, Michael Kors and Nike, and that’s just scratching the surface. The best part? You’ll save up to 65%, every day. For a meal that complements the high-quality shopping, delight your senses at the newly unveiled Market Hall. Here, you’ll find a number of quick and delicious dining options, including Shake Shack, Melt Shop, Le Pain Quotidien, Pinkberry, Chipotle and Pret A Manger. The surrounding area boasts a number of delectable dining options as well, from Chicago-style deep-dish pizza at Uno Pizzeria to T.G.I. Friday’s, one of America’s most popular chain restaurants. If you’re shopping with kids, they’ll have plenty of space to stretch their legs at the onsite Children’s Play Area, located in the centre’s Saratoga District. Looking for a little pampering? Take some time for yourself at C’est La Vie Spa & Salon. There’s also an interior shopping trolley that circles the centre, making it easier for you to get from store to store. Just beyond the centre, the Hudson Valley invites you to slow your pace and see the sights. Nearby Warwick Valley Winery and Angry Orchard Brewery offer tours and tastings of their wines and ciders. At Storm King Art Center, explore more than 100 sculptures spread across 500 rolling acres. There’s abundant hiking at Bear Mountain, Harriman and the Shawangunk Mountains. For the best view of all, enjoy a hot air balloon ride with Above the Clouds. A wide array of lodging options await you at Woodbury Common Premium Outlets®. Just one mile from the property, Hampton Inn Harriman Woodbury offers complimentary shuttle service to and from the centre. For travellers on a budget, look into America’s Best Value Inn, Best Western Inn, Comfort Inn & Suites, Crowne Plaza and Holiday Inn Express. Making your shopping excursion a proper retreat? Thayer Hotel combines historic charm with a wide array of modern amenities, while Bear Mountain Inn offers stunning mountain views and a relaxing lakeside spa. At Glenmere Mansion, you’ll discover luxurious quarters and multiple upscale dining options in a palatial setting. Located one hour north of New York City, Woodbury Common Premium Outlets® offers the perfect excuse for a country holiday. If you’ll be driving, the centre offers plenty of free parking, plus valet service on weekends for an additional fee. New York State Thruway Interstate 87 (I-87) to Harriman, Exit 16. George Washington Bridge (upper level) to Palisades Interstate Parkway (north) to Route 6 West (Exit 18, Central Valley). Exit onto Route 32 north (right turn at traffic light); proceed to centre entrance on right. New York State Thruway (I-87 north) to Exit 15a onto Route 17 north. Continue approximately 15 miles onto Route 32 north; proceed to centre entrance on right. Drive & Shop package available. Woodbury Common Premium Outlets® shoppers receive a free Savings Passport. Please call (800) 800-4000 for information. Private round-trip hotel pickup service. Woodbury Common Premium Outlets® shoppers receive a free Savings Passport. Please call (347) 495-8577 for information. Woodbury Common Premium Outlets® shoppers receive a free Savings Passport. Please call (866) 4ZIPCAR (494-7227) for information. Offering shared ride hotel pickup service from many Manhattan hotels, plus free storage service and a Savings Passport. Please call (347) 495-8577 for information. The stores at Woodbury Common Premium Outlets® accept most major credit and debit cards, but there are five cash point machines throughout the centre, if you prefer paying that way. For our international shoppers, Woodbury Common Premium Outlets® offers a currency exchange station, located in the centre’s Market Hall.